The steak competition on Friday kicks off the AquaBoom State Championship BBQ Cook-off. KINGSLAND — Four years ago, J. Travis Adams saw that AquaBoom no longer offered a barbecue cook-off. At about the same time, there was an ownership change at the Lighthouse Country Club, a place Adams viewed as the ideal spot to bring back the cook-off to the annual Fourth of July event. “Rick and Mercy Howell bought the Lighthouse and turned it into a beautiful country club for the community,” said Adams, who is chairing the AquaBoom State Championship BBQ Cook-off for the fourth year. The cook-off begins on the RV park at the Lighthouse Country Club at the 13th green. It has a large covered pavilion that “works perfect,” Adams said. The country club is located at 118 Club Circle. 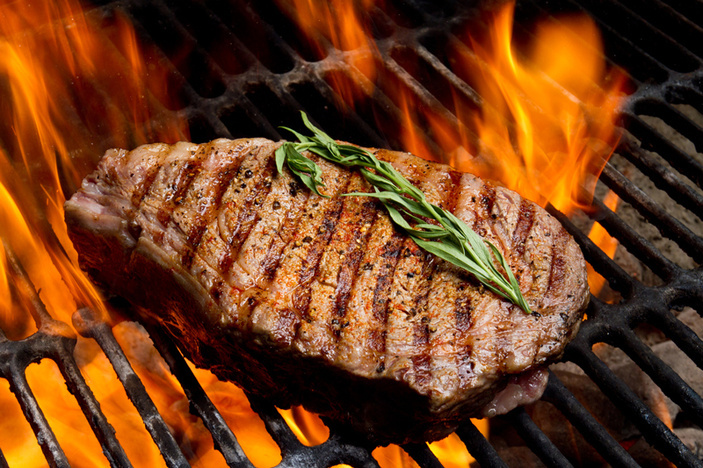 The two-day event begins with a steak cook-off Friday, July 6. Judging starts at 7 p.m. The cost to enter is $25. Grillers must bring their own ribeyes. The competition continues Saturday with beans, chicken, ribs, and brisket. Judging for the beans is at 11 a.m. followed by chicken at noon, ribs at 1 p.m., and brisket at 2 p.m. The cost to enter the bean competition is $10. Meat competitions cost $125 whether for only one meat or all three. Adams said the people who enter these competitions are a different bunch. Proceeds from the cook-offs will be donated back to AquaBoom to help organizers pay for needed items. All competitions are Lonestar Barbecue Society-sanctioned events, which means grillers can earn points toward the end-of-year championship. In addition, the grand champion of the barbecue meats competition will qualify for the American Royal World Series of Barbecue on Sept. 13-16 at Kansas Speedway in Kansas City, Kansas. Adams reminds people that this is a cook-off, not a place to purchase plates of food. Judges are needed throughout the cook-offs. If there are enough judges, organizers can rotate them in and out. If there are few judges, those volunteers will be asked to decide winners in every category. Just like AquaBoom, Adams sees the cook-offs as a way of uniting people who want to give back to the community and ensure they’re helping their neighbors. For more information, contact Adams at lovetogolf325@gmail.com or (325) 423-1201.